For some, change is stressful. For me and the Zift Solutions team, change is invigorating. We like to shake things up a bit. It keeps our ideas fresh and inspires new actions on behalf of our customers and partner community. Our ability to embrace change has everyone at Zift excited about our recent acquisition of SharedVue. A division of The Channel Company and an established Partner Marketing Provider, SharedVue is the second competitor that Zift has acquired in the past year in our quest to become the premiere Through Channel Marketing Automation (TCMA) provider in the growing channel marketing arena. As the channel community’s trusted authority for growth and innovation, The Channel Company has also joined forces with Zift to integrate SharedVue functionality and promote the enhanced Zift platform moving forward. I couldn’t agree more. The new acquisition of SharedVue makes Zift the largest Channel Marketing and Management (CMM) solutions provider, serving the largest community of channel partners around the globe. With more than 30,000 partners in our community, engagement becomes that much easier for vendors as so many partners are already familiar with and using the Zift Platform – and partners can use Zift to support multiple vendors. Our combined teams are already working together to evaluate which SharedVue features will be integrated into the Zift Solutions Platform. Our Research and Development (R&D) team has also doubled in size, positioning us for continued innovation and maximum responsiveness to customer needs. Best of all, our customers are equally excited about the impact of our SharedVue acquisition. “It’s exciting and I’m personally looking forward to see, learn and understand how this will evolve for Qlik. The timing is just right. It sets us all in good stead for best-in-class partner marketing automation,” said Natasha Mutepuka, Director of Marketing Programs for Qlik, a leading visual analytics vendor, in a congratulatory note. We thank all of our customers and partners for their encouragement and support. We’re looking out for your best interests as we continue to grow and re-invest in Zift and will keep you posted as we move forward. In the meantime, you can learn more about the acquisition itself in this FAQ. 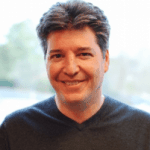 Ken is a driving force behind Zift’s strategic vision and mission to offer channel marketing automation solutions to help global brands drive channel revenue. Ken has co-founded and run a wide range of technology and Internet-based enterprises while leading innovations in marketing technologies.